The Green Fairy gambols through the butterfly forest in this vintage absinthe poster. 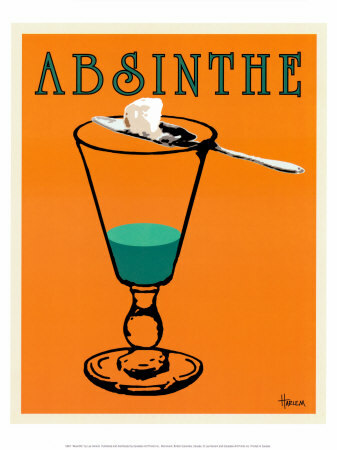 March 5 is National Absinthe Day. You have twenty-four hours in which to worship at the altar of The Green Fairy, as it has been commonly referred to in literature because of its hue and high alcohol content (you’d see fairies too if you drank enough). “Let me be mad . . . The most traditional way to take your absinthe is with sugar and cold water in a process called louching. Ice water from an urn is slowly allowed to drip through a controllable spigot onto a sugar-cube held by a fancy-looking miniature spade with holes. This is an absinthe spoon and it is positioned over a glass containing your favorite absinthe. When the water drips and slowly dissolves the sugar cube, the absinthe will become milky and diluted by the cold water and the sugar, turning it into a highly enjoyable sipper. The louche (pronounced loosh), or the milky green opalescence, is the center of Lee Harlem’s absinthe poster. Absinthe also mixes well with many spirits, and a bottle can last you a seeming eternity since many recipes only call for a dash or two of this liquor. We’ve shared absinthe cocktails with you in the past, some with just a touch, to add a bright anise flavor, others with a heavy dose that pack a wallop. 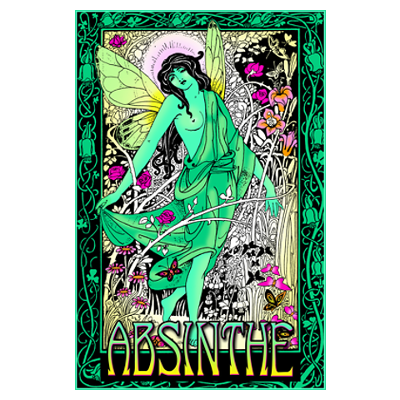 Regardless of how you like to imbibe the Green Fairy, here are collected posts containing absinthe. You can search for the word absinthe once you click the link to find the recipes. Absinthe cocktails and more. 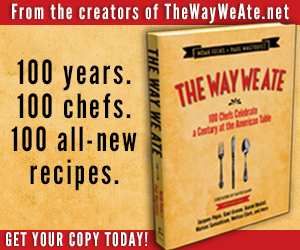 Also note that you can substitute absinthe for Herbsaint and Pastis in these recipes. Bottoms up!